The Target Saver: Aeropostale: Back to School Sale- Get 30% off Site-Wide! Aeropostale: Back to School Sale- Get 30% off Site-Wide! 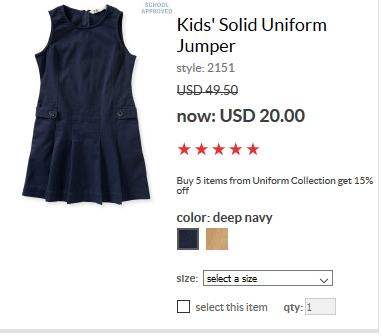 If you still need to finish your school clothes shopping, and need school uniforms head over to the Uniform shop at Aeropostale. They have a huge selection of everything you will need for boys and girls at great prices. Plus, make sure to check out the 30% off coupon being offered by Aeropostale! Simply use promo code BTS30 at checkout to get 30% off Everything Site-Wide! This offer expires Monday, August 22nd. Certain restrictions apply.